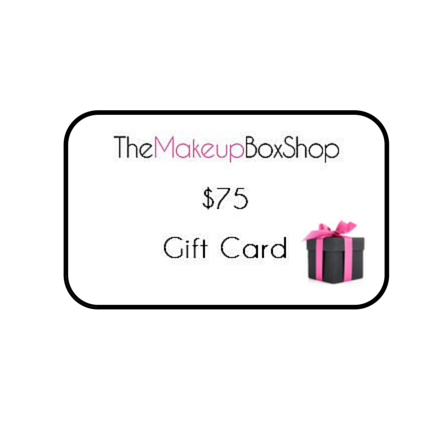 Need to buy a gift for a makeup lover but can’t decide just which Makeup Box to choose? Why not purchase a gift card and let them choose themselves? Our Gift vouchers are available in $50, $75 and $100 vouchers and are valid for 12 months! 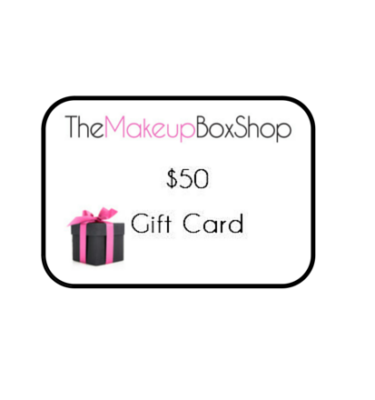 Our Gift cards are available in $50, $75 and $100 vouchers and are valid for 12 months! When checking out enter the “To” and “From” details in the Order Notes and we will send you an eGift Card.